This framework can be applied whether the conversation is reactive (after an incident) or proactive (identifying influences on risk or conditions that may cause errors). When you initiate a safety conversation with an employee, the first few moments set the stage for what follows. Your intent will be clear to the listener by your body language, your words, and your tone. If your words indicate that you need control, then you are not having a conversation. Instead, you are signaling your intent to deliver a message. In this case, the employee immediately feels defensive. He is likely to share only the minimum amount of information. 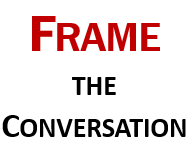 On the other hand, if you frame the conversation with care and concern, the discussion is much more likely to be interactive. You do this by asking questions in a non-threatening way. You are making it clear that you need their help. The employee is being encouraged to participate in a genuine dialogue. The only way you can learn about hidden process or organization issues is to ask the right questions in the right way – and then listen. Most of us believe that we are good listeners. But research shows that we seldom hear what people are saying in the way it was intended to be heard. Active listening is hard work! Of course, if your original motive is control, you are not listening – you are telling. You are stating your case either for what was done incorrectly or what rule or policy was not followed. Your challenge is to find out why it made sense to the employee to take an unnecessary risk. Often times, the reason is that they were influenced in some way. The four-part risk model2 is a good outline for identifying the major influences on risk: perceptions, habits, obstacles, and barriers. If the conversation takes place after an incident or near miss, listen for indications that one of these factors was in play if an employee took an unnecessary risk. In a proactive conversation, inquire how someone might be influenced to take a risk when performing a specific task. For a supervisor who wants to maintain or exert control, rules and policies are edicts. If an incident occurs, the first thing he wants to know is the procedure, rule, or policy that was not followed. If someone gets hurt, it almost always means that one of these was violated. In a compliance world, many people believe that if you just follow the rules, you won’t be seriously injured. 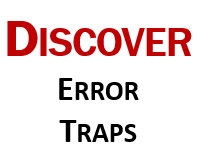 These error traps may emerge as part of the conversation. Or a supervisor may find additional ones when he takes a holistic view of the situation. Either way, acknowledging these error-prone conditions is the first step in finding ways to mitigate their effects. A supervisor whose motive is control often assumes that the primary reason for a safety incident is (a) someone made a mistake or (b) someone made a poor choice. With this mindset, it is not a surprise when the supervisor attempts to “correct” the behavior through some kind of admonishment. In contrast, a supervisor who believes in a Just Culture realizes that more than 90% of the time people are ‘set up’ to make a mistake (by error traps) or are influenced to take a risk (by a perception, habit, obstacle, or barrier). This supervisor realizes that truly reckless behavior rarely happens. 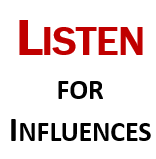 His focus in a safety conversation is to actively listen for influences and error traps. The employee’s behavior is identified as reckless only when there is a choice to consciously disregard a substantial and unjustifiable risk. Reckless behaviors exist in the industrial world, but they happen only occasionally. A supervisor who expects to maintain control takes actions which are directed toward compliance. These are typically some form of re-training, warning, counseling, or discipline. In a culture of compliance, supervisors assume that people should perform work using standard procedures and abide by the safety rules. If they do not, then they need to be held accountable. Rules or procedures may be over-designed and do not match up with the way work is really done. There may be conflicting priorities which make it confusing about which procedure is most important. Procedures may be vague, poorly written, or outdated. In a culture of commitment, a safety conversation concludes on a very different note. Because the conversation proceeds in a spirit of learning and co-discovery, the actions are built on collaboration. When a mistake is identified, the supervisor seeks to understand and mitigate any error traps. In some cases, this could include a collaboration on mistake proofing solutions. These are simple process design changes that make it easy to do the right thing and difficult to do the wrong thing. 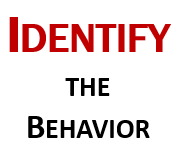 If an employee drifts into an at-risk behavior, the type of influences on risk determine the best course of action. Coaching is often effective for perceptions or habits. Like addressing error traps, a collaborative effort is a common approach to removing obstacles or barriers. Counseling or discipline is warranted for truly reckless behavior. Using this five-step guide, anyone can conduct an effective safety conversation. It is designed to be used when your primary objective is to promote learning and improvement. This guide is centered on the “Why” of caring. When you start with this motive, the conversation that follows is more open. The real pay-off in having a candid dialogue is in discovering the hidden weaknesses in the process and in the organization. Making these visible is essential. It sets the stage for collaboration to improve the work processes and to eliminate sources of failures or errors. Supervisors and managers need to be skilled in facilitating effective safety conversations. Having a daily proactive safety dialogue like the one outlined here is a cornerstone in building a culture of commitment. This conversation should be an integral part of your safety strategy. 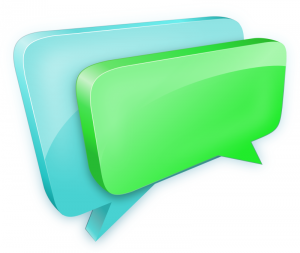 What will you learn (and improve) as a result of your next safety conversation? 1Leadership is a Conversation. Boris Groysberg and Michael Slind. Harvard Business Review. June, 2012. 2Understanding influences on risks: a four-part model. Terry Mathis and Shawn Galloway. EHS Today. February, 2010. 3Practicing Perfection Institute, Inc. Error Elimination Tools. 2012. 4Managing the Risks of Organizational Accidents. Reason, James. Hampshire, England: Ashgate Publishing Limited. 1997. 5Whack-a-Mole. The Price We Pay For Expecting Perfection, by David Marx. Your Side Studios. 2009.